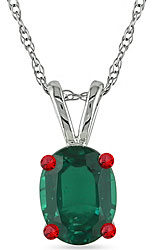 This chain bears a large green crystal in its center. Four smaller, removable charms of red crystal also hang from the pendant. To use a farspeaking amulet, one character wears the central crystal, while up to four others carry the four removable, red crystals. Removable crystals don’t occupy a body slot, and can simply be carried. Charms can be removed or replaced as a standard action. The wearer can, with a standard (mental) action, return a single charm to the amulet from any distance, as long as it is on the same plane. When you activate the amulet, you create a link between yourself and any or all of the characters carrying red charms, enabling all affected characters to converse as if standing together. This effect lasts for up to 10 minutes, and the amulet can be activated three times per day. Only characters on the same plane as the amulet’s wearer can participate in the conversation. If you also wear a magic item that grants you a competence bonus on Listen checks when you activate the amulet, you can choose to also listen to the environment of any or all of the characters in the conversation as if you were present. The magic of the amulet allows you to differentiate between the various locations without undue confusion. Scout distributed this item to the party while we were in Limbo.